Hoboken, NJ — August 28, 2018 — No may be a tiny word, but for salespeople it’s the most dreaded word in the English language. Nothing causes your heart to sink quite like an objection from a prospective customer. This is true not just because it presages a negative impact on your income, but also because it’s incredibly painful to hear. It’s no coincidence that “objection” rhymes with “rejection”—and the latter is one of the deepest, darkest, most primal human fears. Jeb Blount says there’s no way to avoid objections. They’re going to happen. What you can do is learn how to rise above the emotional disruption they cause and, hopefully, salvage the sale. 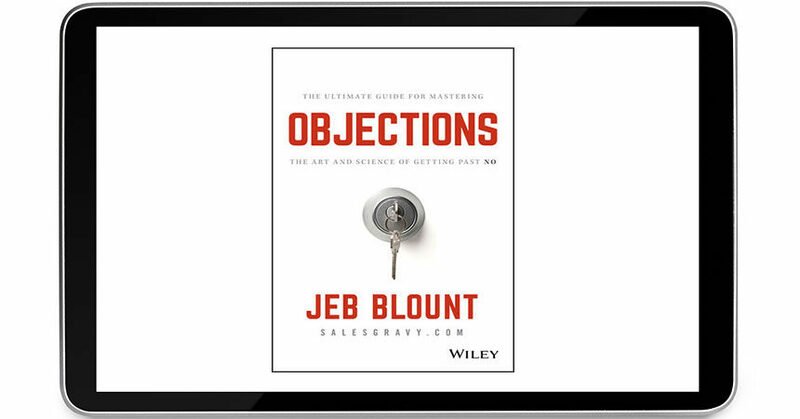 “There are four types of objections you encounter in the sales process, and they occur at various points in the journey,” notes Blount, author of the new book Objections: The Ultimate Guide for Mastering the Art and Science of Getting Past No (Wiley, June 2018, ISBN: 978-1-119-47738-9, $27.00). “They can stop a sale before it ever gets started, derail your efforts in the middle of the conversation, or shut down the deal at the end after weeks, even months, of hard work. “The good news is that when you arm yourself with an arsenal of turnaround frameworks, you can face these roadblocks and get past them so you can move onto the next stage,” he adds. Of all objections, these are the most severe. They’re often harsh and cold, and at times, flat-out rejection. People are crazy busy and see little value in spending time with salespeople. Through a combination of reflex responses, brush-offs, and objections (RBOs), they do their best to get rid of you. For this reason, millions of salespeople treat prospecting like the plague and avoid interrupting prospects at any cost. However, if you want success in your sales career, then you’ve got to interrupt prospects. Ledge. A ledge is a memorized, automatic response to perceived or real rejection that does not require you to think. Using a ledge gives your logical brain the moment it needs to catch up, rise above disruptive emotions, and gain control. Disrupt. Your prospect has been conditioned from hundreds of prospecting calls and expects you to act like every other salesperson. When they tell you no, they have an expectation for what you will most likely do next. To turn around your prospect’s RBO, deliver a statement or question that disrupts this pattern and pulls the prospect toward you. For example, when they say they’re busy, instead of arguing with them that you will take only a little bit of their time, disrupt their pattern by agreeing with them: That’s exactly why I called; I figured you would be, and I want to find a time that’s more convenient for you. Or, when they say, “I’m not interested,” respond with: That makes sense. Most people aren’t the first time I call, and that’s exactly why we should meet. A red herring is an irrelevant topic or issue that gets introduced into the conversation by a stakeholder that distracts you from your focus or diverts your attention from the objective of your sales conversation. A stakeholder, typically early in the conversation, will throw out a red herring—sometimes to challenge you, sometimes because they don’t know what else to say, sometimes because it’s their habitual behavior pattern, and sometimes because they have a valid concern or question. Moving past red herrings requires massive emotional control, so you need a simple and habitual system that keeps you in control—PAIS: Pause, Acknowledge, Ignore, Save. Once you explain the value in a way that they understand, the prospect will agree to the next step. Value, however, is in the eye of the beholder. They want to know What’s in it for me?—and you must answer that question. Step into your prospect’s shoes and write down why it should matter to them. What is the value trade for investing more time with you? Then craft compelling value statements that articulate this in your stakeholder’s language and terms. When you ask people to make buying decisions—sign contracts, hand over credit cards, issue POs, switch vendors, and accept your proposal—you will get objections. Getting past buying commitment objections is often the moment of truth that determines whether or not you will close the deal. The outcome pivots on your ability to gain control over your emotions, guide the conversation, and influence your stakeholder’s emotions. Relate. Acknowledge and relate to the objection. Don’t treat them like a number, discount their concern, challenge their point of view, judge them, or start an argument. Isolate and clarify. Ask questions to isolate the “real” objection, issue, or concern. Clarify your understanding before addressing. The key here is to ask open-ended questions that get your buyer talking and expressing their real concerns. Minimize. Remind the stakeholder of their problems, pain, threats, opportunities, and the yesses you’ve collected. Ask. Ask again and assume the yes. Fall back to an alternative. If you still get a no, offer an alternative commitment with a lower perceived risk. Have your fallback positions planned prior to your closing call. None of the tips Blount offers (and there are many more in the book) are rigid scripts. That’s because dealing with objections is more an art than a science. Jeb Blount is the author of nine books and is among the world’s most respected thought leaders on sales, leadership, and customer experience. As a sales acceleration specialist, he helps sales organizations reach peak performance fast by optimizing talent, leveraging training to cultivate a high-performance culture, developing leadership and coaching skills, and applying more effective organizational design. 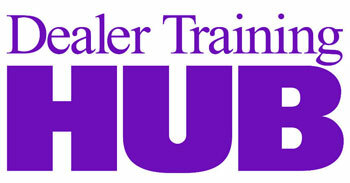 Through his global training organization, Sales Gravy, Jeb advises many of the world’s leading organizations and their executives on the impact of emotional intelligence and interpersonal skills on customer-facing activities and delivers training to thousands of participants in both public and private forums. His flagship website, SalesGravy.com, is the most visited sales-specific website on the planet. Objections: The Ultimate Guide for Mastering the Art and Science of Getting Past No (Wiley, June 2018, ISBN: 978-1-119-47738-9, $27.00) is available at bookstores nationwide, from major online booksellers, and direct from the publisher by calling 800-225-5945. In Canada, call 800-567-4797. For more information, please visit the book’s page on www.wiley.com.